This quaint boating community is one of the few navigable areas along the Susquehanna River. 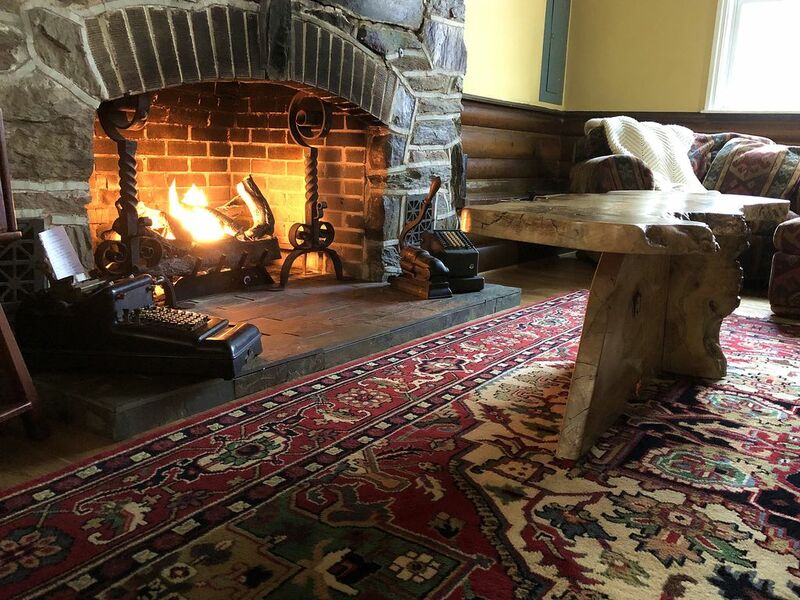 We purchased this secluded cabin because of its central location; only 35 minutes from Hershey, 20 minutes from Lancaster & York and less then an hour from Baltimore, with all the conveniences of shopping, dining and entertainment. Our cabin is located a quarter of a mile from the Susquehanna River. Cabin is heated by the 3 gas fireplaces located in main room, bedroom, and kitchen. One fireplace will heat entire cabin. Smoking is only permitted outdoors. Please call for details. Great experience! The cabin is clean and cozy. Highly recommend to get away from it all - but close enough to a fun time in the city. Everything was just as advertised. We will go back, great place, great location, everything we needed....thank you. Cozy cabin with all the amenities! Beautiful and cozy cabin with everything one needs. We (three friends) spent a weekend in winter there -- the gas fireplaces inside kept it toasty and we also made a fire outside in the fire ring (for fun) one evening. Would return in any season. The screened in porches look great for summer and fall. Super relaxing space.... did not want to leave. perfect location, wonderful cabin feel, has everything you need. we felt very comfortable and were so please the they allowed us to bring our pet. We enjoyed the trail right across the street and the close access to many small towns. The Wrightsville cabin was a perfect venue for our annual pre-Christmas reunion of four high school friends. We utilized the fire pit, cable TV, warm gas fireplaces, and well-tooled kitchen. There was more than enough space for all four of us to sleep comfortably. The location was great, and we took a short hike up Chickies Rock, only a few minutes drive away. I'd highly recommend the cabin! We, my husband, dog and I, had a really nice time staying at this property. There is a babbling creek right outside the house which is so enjoyable. As we pulled up to the property, there were two deer next to the house.The property is in a great location, being close to York, Lancaster, Strasbourg, Hershey and Gettysburg. As you drive from the house to the main road, the view across the water is beautiful. The house itself is great. We were there in December. The gas fireplaces were very cozy. Our dog enjoyed lying in front of the one in the living room. The bed is very comfortable and the linens (bed linens and towels) were so clean and fresh. Everything was set up for us like it would be in a hotel--the bed was made up and the towels were laid out. There were even mini shampoo, soap, conditioner, lotion, etc. It was really nice. The bathroom is very nice. I would note that there are a few sets of stairs in the house--two from the kitchen to the living room, three up to the bedroom and bathroom. And a full set of stairs to the loft. Just in case you have issues with stairs. There was a smart tv if you want to watch movies on Netflix or Prime and full cable TV. There are board games and classic magazines about the area if you want to unplug while you are there. We did have one slight hiccup when the house ran out of propane, but Kristin took care of the issue within about 2 hours. It is nice to know that someone is there to help if an issue arises. All in all, the purpose of our trip was to get out of the city, relax and enjoy some nearby sites and this house was perfect for that purpose. An administrative fee will be charged to cover York County Occupancy Tax of 5%, will be determined once reservation is finalized. Cancellation within 14 days (30 days for holiday and special events) will be charged the entire amount of the reservation if we are unable to re-rent the accommodation. No shows and premature check-outs will also be charged the entire amount of the reservation. We strongly recommend travel insurance. Travel insurance is readily available and covers family emergencies, bad weather & health issues.